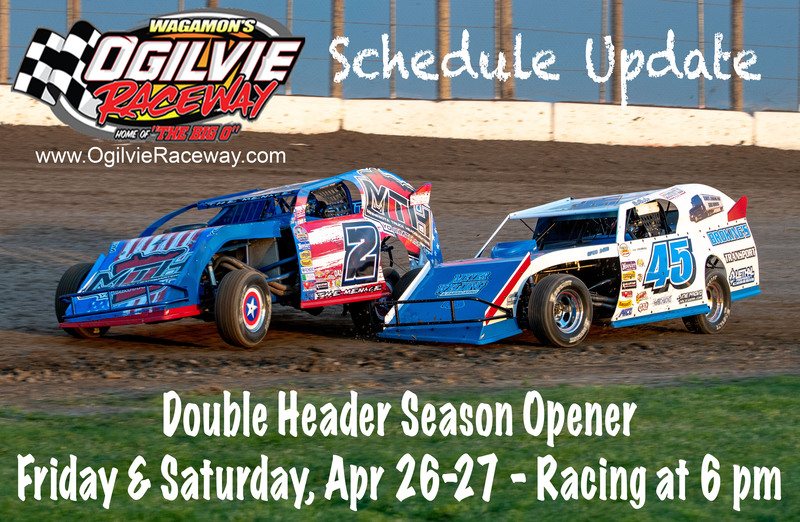 * YES we are RACING Saturday Night! The Mora area received a lot of rain on Thursday morning, but we are good to go!!! This is starting to feel like a WoO tradition. * RACE DAY TICKET SALES – YES you can still purchase a ticket on Saturday. We will have LOTS OF TICKETS AVAILABLE! * ONLINE TICKET SALES – You can purchase an advanced ticket (Reserved Seat or GA) until MIDNIGHT FRIDAY NIGHT. Will Call opens at 2 pm. Doors to get into the pits and grandstands will open at 4 pm. You must get your wristband from the WoO Will Call in front of the Main Entrance if you purchased your ticket online. 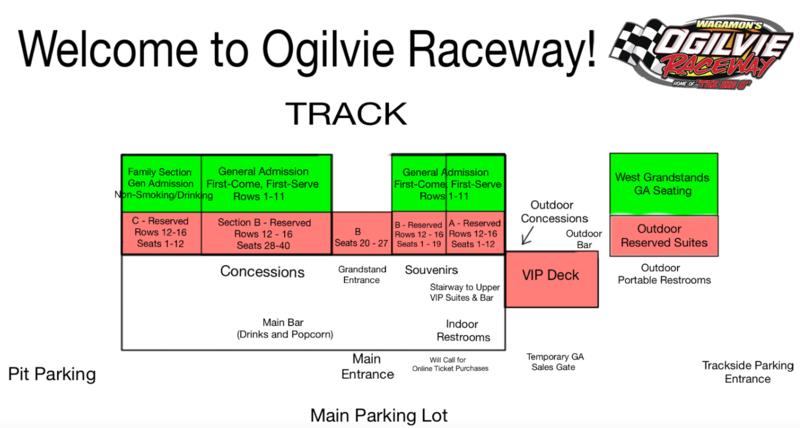 – If your online purchase is for SECTION A, B or C you have a reserved seat in one of the top 5 rows of the Main Grandstands (directly behind the building). If your online ticket purchase is for SECTION GA, you will select a seat in one of the GA sections when you get here. Trackside parking is sold out! World of Outlaws Late Models, plus WISSOTA Midwest Modifieds and Hornets. Below is a map that we hope will help those of you that haven’t been here before or those that have purchased reserved seats. We will also have these posted throughout the facility. Two final reminders – We typically have little to no lines at the outdoor portable toilets that are located below the West Grandstands and we have additional concession and drink sales outside below the deck on the west side of the building. 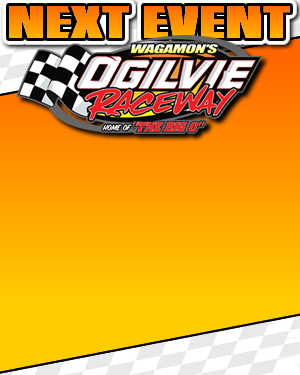 We are so excited to have the World of Outlaws Craftsman Late Model Series at Ogilvie Raceway! It’s going to be a great night at The Big O!!! Thanks to everyone who will be joining us and helping us bring this fantastic event to Central Minnesota.